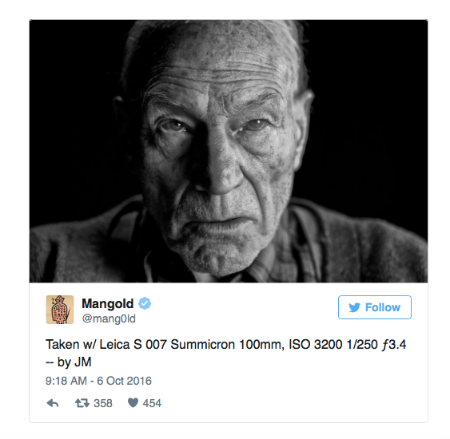 The director of Logan (the Wolverine sequel I posted about yesterday) shared a photo today of Patrick Stewart as Professor Xavier in the sequel...and it's not pretty. He looks like the Ghost of X-Men Past. Of course, his character has already died twice in two other X-Men movies and alternate realities...so, technically, he is kind of a ghost. Can't wait to see this when it opens on March 3rd.